Height (bottom to top) 26.36"
Depth (front to back) 20.28"
Storage Drawer interior (2) 16.50" x 15.00" x 5.00". Media opening (2) 18.00" x 19.61" x 7.50". Center compartment with removable, adjustable shelf. 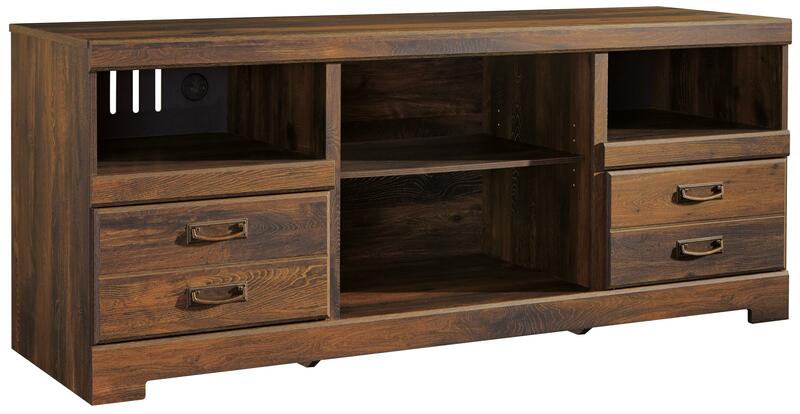 The replicated oak grain finish offers a rustic casual appeal to this TV stand. 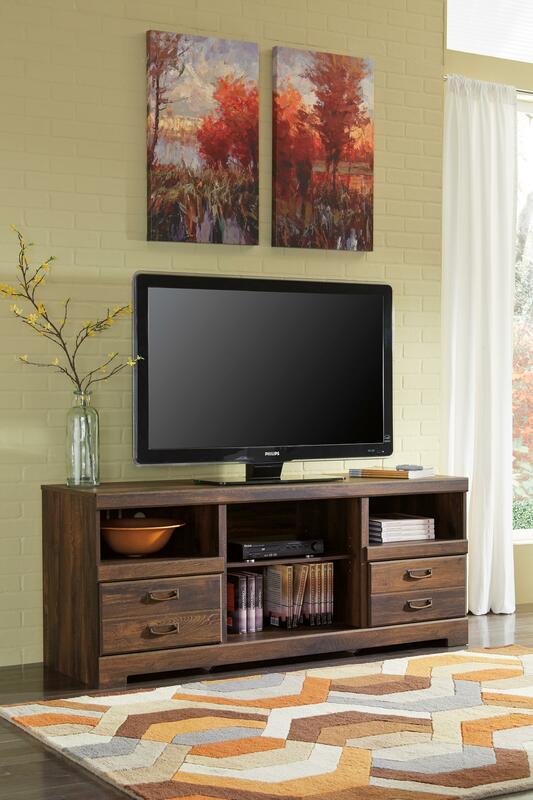 Its warm brown finish and simple design will look great in your entertainment space, while its spacious size and plentiful storage provides room for your TV, electronic components, and decorative accents.